It happens to everyone. You wake up one fine morning, look in the mirror, and gasp. A wrinkle? Is that really a wrinkle? Yes, it is, and there are more to come. But don’t be devastated. Just because you are no longer twenty-something doesn’t mean that you need to have a mid-life skin crisis. There are plenty of ways to rejuvenate your skin and enjoy a youthful appearance for many years to come. In this article I share some of the best anti-aging skin care products that you can use in your 30’s. The most important thing to remember when it comes to skin care is that it is most often a reflection of everything that is happening internally. If you are filling your body with toxic fuel in the forms of junk food, excessive alcohol, and bad fats, chances are your skin is reflecting those choices externally. While you may have seemed to “get away with it” in your younger years, bad food choices will eventually catch up with you. Lifestyle changes may be the hardest to achieve, but they will be well worth it in the end when you appear several years younger than those in your same age range. Be sure to eat healthy and get good rest so that your skin has the proper building blocks and time to repair and create more vibrant skin. Don’t be afraid to hit the gym as well! Sweating releases toxins, and cleanses the pores from the inside out. It also gives your whole body a boost of oxygen and endorphins which improves your overall appearance. As we enter the middle stage of our lives, stress often increases, lowering our immunity and wearing our bodies down. 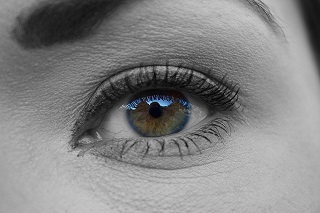 We then wake up with dark circles around our eyes, and find a new wrinkle or two creasing our faces. It is very important to manage stress in order to maintain a youthful appearance. Think ahead daily to avoid stress triggers, and be kind to yourself by planning a time each week where you relax and slow down. Don’t feel strapped for time; just an hour can help you unwind if you are purposeful. 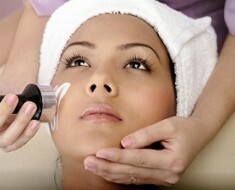 After taking care of ourselves mentally and physically, there is still the issue of skin care. In your thirties, you will need to start using a few products that you neglected or didn’t need in your teens and twenties. The first thing is a good sunscreen. Your skin is instantly exposed to the weather and harmful sunlight when you step outside. This is what causes oxidation, essentially the wearing down of your skin. Think of oxidation like erosion, and UV rays as radiation. Sunscreen can help protect your skin from immediate outside intrusions and keep harmful sun rays from penetrating your skin. 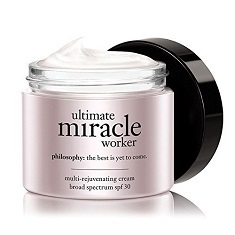 Philosophy – Ultimate Miracle Worker by Sephora is a great SPF and moisturizer that targets shielding the skin from harmful sun rays to keep the skin from further sun damage. It also rejuvenates the skin, reduces the look of pores, and gives the skin a youthful vibrancy. 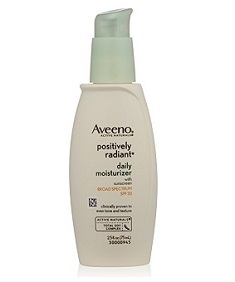 A less pricey alternative is Aveeno’s Positively Radiant Daily Moisturizer SPF 30. This product is hypoallergenic, and uses natural minerals that reflect light for a brighter, more even look. This daily moisturizer also helps even out your skin tone. 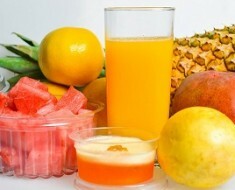 It also improves the texture of your skin and reveals beautiful naturally radiant skin. It contains Total-Soy complex that provides complete moisture your skin needs for its healthy life. 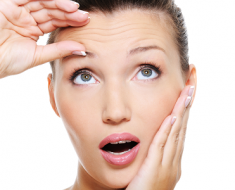 Now that you are in your thirties, it is crucial to start using a retinoid. Dermatologists recommend that you use a light retinol product until later in life when you see more visible signs of aging. Retinol products exfoliate the skin to remove dead skin cells, and force the skin to produce new cells faster. However, using these products prematurely or too often can cause irritation, so use caution when beginning your retinol treatments. 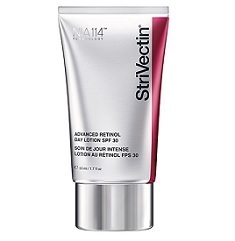 StriVectin’s Advanced Retinol Day Treatment SPF 30 comes highly recommended by users for its quick, visible results. This product helps to firm the skin, improve elasticity, and increase skin-cell turnover for a more youthful look. It also works as a daytime sunscreen that is strong enough to protect the skin without feeling greasy. 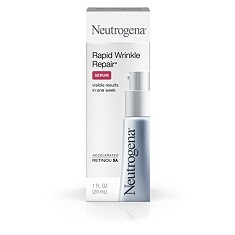 If you are looking for best anti-aging product for women in their30’s then Neutrogena’s Rapid Wrinkle Repair Serum is the one. This product also has SPF 30 to protect new skin cells from sun damage. Users love its fast results when it comes to cell turnover, and improving overall brightness. When cleaning the skin, avoid over-scrubbing or stripping it by using a cleansing milk instead of a harsh, foamy soap. Try Blisses Clog Dissolving Cleansing Milk to gently wash away grime and oil from your pores. This product is good for any skin type, including sensitive skin, and cleans thoroughly without drying out your face. 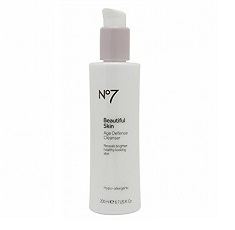 Another good cleansing milk is No7’s Age Defence Cleanser. It goes silky smooth on your skin, and leaves your face feeling and looking refreshed. This product also contains anti-oxidants to help restore and repair the skin. In addition to a good SPF, retinol, and gentle cleansers, don’t forget beauty hacks like moisturizing masks and glycolic peels.Once a week treatments can work wonders on tired skin! 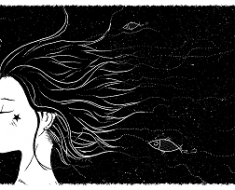 Don’t feel that just because you’ve hit thirty, your skin is automatically fated to lose beauty and vibrancy. If you begin taking care of your skin, some of your best-looking days could still be ahead of you!